Dirt + warmer days awhile ago (not lately) + Mr. Emu walking by his fence = emu mud. Emu mud + _________ (fill in the blank) doesn’t = much that I’m aware of. I could be wrong. Dirt + Jesus’ spit + a man-born-blind = a life-altering event. For a modern-day-paraphrase, try reading John 9:1-41 from The Message. “Couldn’t Resist”… that’s the name of this photo. I couldn’t resist taking it, and I couldn’t resist blogging it for today. Back to Isaiah, again, Isaiah 43:20… “The wild animals will honor me, the jackals and the ostriches; for I give water in the wilderness, rivers in the desert”. Ok, so it’s not an ostrich, it’s an emu. 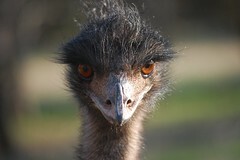 But emus are also big birds, like the ostrich. 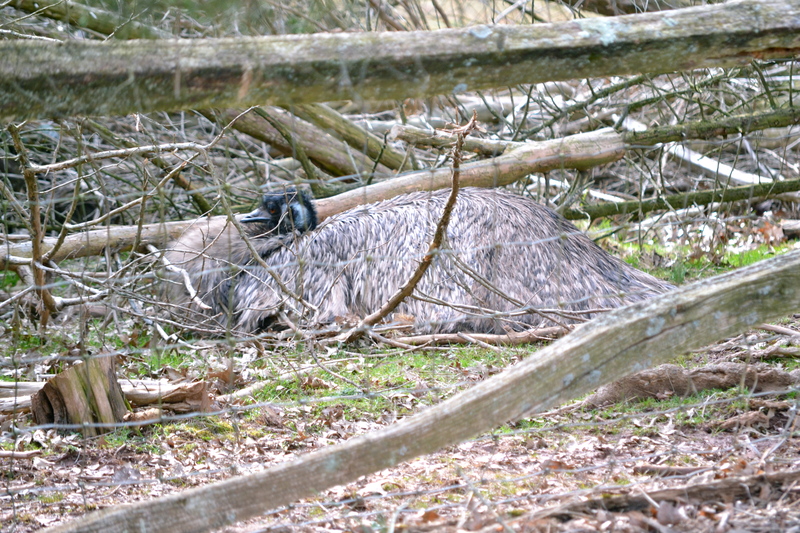 This is one of the two emus that lives behind us. I love watching them, photographing them… and I can’t help thinking, when I see these funny creatures, that God has a sense of humor. And creativity. To imagine these creatures “honoring” God is a bit strange… but I wonder what that would look like, and if they are right now, and we just don’t know what that looks like?